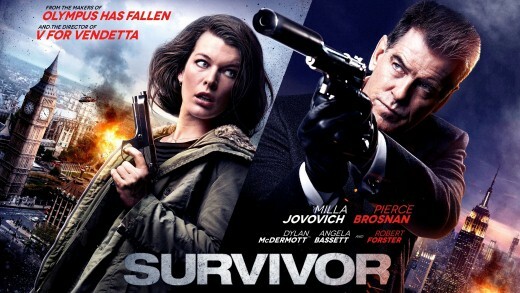 My Take on it – When watching a movie with Pierce Brosnan, Milla Jovovich, Dylan McDermott and Robert Forester, you will usually expect it to be top notch. This movie feels like an average made for TV movie that is a “ripped from the headlines” kind of story. The terrorist aspect is something we all are concerned about these days and a thriller that plays to that emotion usually can work. This one works well from that perspective, but ultimately, it has too many flaws to be considered great. (There is a reason this got a very limited release). I’d rather watch an episode of NCIS or some other procedural dealing with an anti-terrorist plot than this one because it just feels too generic and average. Bottom Line – Competent thriller that works but is far from perfect. Nice cast, but it feels too much like a low budget made for TV movie.